Email marketers are always looking for ways to increase conversions. The key challenge is to get emails opened and to get subscribers to click through and buy. With that being the case, why not give your email campaigns more than one chance to succeed? While some promotions can be just one single email blast, if you want to maximize your conversion then it makes sense to plan out an email sequence with two or more messages. The reason for this is pretty straightforward. People are busy and it is important to recognize that your subscriber will mostly likely not open every single one of your emails. It’s safe to assume that they’ll only open a fraction of what you send out. 1) Article or Topic series: People are conditioned to want to complete a series. If you write a 5 part article sequence on a particular topic, that can draw attention to the emails and increase engagement. Your subject lines for each message should indicate that there is a sequence in progress, such as “Secrets of Gluten Free Baking, Part 1 of 5”. It’s important to specify ‘Part 1 of 5’ because that tells your subscriber how many messages to expect. If they get Part 3 and they like it, they may search their inbox to find the episodes that they missed. In such an email series, it’s also important to chain together the messages. In other words, in the first email tell your subscribers what’s in store for them and hint at the benefits to reaching the whole series. Thereafter, in each message, just like a TV series, tease the next installment so they are anticipating its arrival. It’s also a good idea to let your subscriber know when the next email in the series will follow. For example, you could map out 5 emails about Gluten free baking as part of a promotion for your new book or course. Perhaps you have a membership site about healthy lifestyles. Or perhaps your series on gluten free baking is just a single subject to give your subscribers a taste of what you have in store for them in the member’s area. By writing a series of articles, you have a content based marketing strategy that delivers value and encourages your subscribers to want more. Unless you have a compelling reason to, it’s probably best to keep your email series to 5 emails or less so as to not overwhelm your subscriber by dwelling too much on one subject. 2) Problem + Agitate + Solve: Dan Kennedy is a legendary copywriter and marketing consultant with decades of success and multi-millions of dollars in sales to his credit. He’s known for using a ‘problem agitate solve’ formula in his sales letters. People are more motivated by fear and solving problems than by seeking gain or pleasure. Therefore, if you are marketing a weight loss product, the copy would first call out the problem of being overweight. Then, to draw the reader in the copy will agitate the problem by diving deeper into what it’s like to struggle with weight loss. Ultimately the purpose is to present the solution and resolve the problems raised in the copy. This same strategy can be used in an email sequence. In the first email you would introduce a problem that your subscribers have. They may or may not be aware that they have this problem. Keeping in mind that the solution is your product or affiliate recommendation, the problem you will highlight is one that buying your offer should solve. So in your first email you could focus on the problem of sedentary lifestyle and hint that there is a common activity that is one of the worst offenders. You want to leave your subscriber wanting to know more. So after you talk about why sedentary lifestyles of most Americans can be deadly, you’ll hint that there is something important you’ll share in the next email that they must be aware of to pique their interest. It’s a good idea to make sure your email conveys that whatever the problem is, it’s not your subscriber’s fault. You don’t want the copy to come across as blaming or shaming… The idea is to make the problem the scapegoat and the solution you’re selling is the hero that will make your subscriber’s life better. In the second email you would agitate the issue of sedentary lifestyle health risks by naming the danger you teased in the first email… sitting too much. You could quote statistics on how sitting down too much can contribute to weight gain and screw up your metabolism. By the time you finish explaining how this common activity that we all do can be dangerous and deadly, and how awful it is to suffer from declining health, you’ll hint that you have a solution that you’ll share ‘next time’. If you’ve done this effectively, your subscriber will be looking forward to your next email and be eager to have the solution. Now, it is not essential that you hold the solution until the third email. You could introduce it in the first email, too. Each email in the sequence could introduce different problems and angles and segue to your offer. In your third email, you would recap the problem and then briefly re-agitate to remind your subscriber of the context of your message. Also, there is a chance your subscriber hadn’t seen your previous messages. Then, once you’ve done the recap, you could introduce your ‘Easy Office Exercise Program’ that provides simple exercises you can do while sitting to get in shape and avoid the dangers of a sedentary lifestyle. It’s important that the solution matches up and solves the problems that you’ve raised in the previous emails. In this example, the very act of sitting is deemed to be a problem and then it becomes part of the solution, acknowledging that people want to sit and also get fit. 3) Opportunity Sequence: This is the opposite structure of the Problem Agitate Solve sequence. The idea is to bring an opportunity to your subscriber’s attention that they may or may not have been aware of previously. In the first email you would introduce the opportunity. You could play off of a news story or a study that gives credibility to the concept. To continue the exercise theme, you could reference the popularity of CrossFit gyms to demonstrate that there is a growing demand for fitness in America and that there is an opportunity for entrepreneurs to take advantage of the trend. You would hint at more exciting details in the next email to pique your subscriber’s interest. You don’t have to go into too much detail in the first message because the purpose is to simply identify the opportunity and stoke your subscriber’s imagination. In the second email, you would show more proof to demonstrate that this opportunity is possible. The purpose of this email is to bridge the gap between the opportunity and your subscriber’s current life experience. You want to make the opportunity more tangible and real by showing how you or someone else who your subscriber can identify with has achieved success with this opportunity. For example, if you are selling a franchise for fitness gyms, you could describe a case study where someone got started and was successful. If you are competing with CrossFit, you could highlight the advantages of your franchise in the case study. You want to emphasize what it’s like to take action and benefit from this opportunity so your subscriber can identify with it and imagine being successful, too. In the third email, you would recap the opportunity and reinforce that it is possible for your subscriber. Then you would focus on how your offer makes it possible for them to do this, too. You could simply refer your subscriber to a web page with copy or a video that goes into all the exciting details since there may be too much information to cover in an email. For that matter, all three of the emails could promote blog posts or videos that cover the same material if you don’t want to write longer emails. How you deliver the content isn’t as important for our illustration as the sequence and the purpose behind the messages. Just make sure that in the final message and in the copy that any objections or doubts your subscriber may have about taking advantage of the opportunity are overcome. In each of these 3 kinds of email sequences, the objective is the same: attract and hold your subscriber’s attention so you can make your offer. You could make the best offer in the world in a single email, but if your subscribers don’t happen to see it, then the promotion could bomb anyway. With an engaging sequence of emails you have the ability to draw in your subscriber into a series of messages that build anticipation and overcome objections to your offer in an ‘under the radar’ fashion. 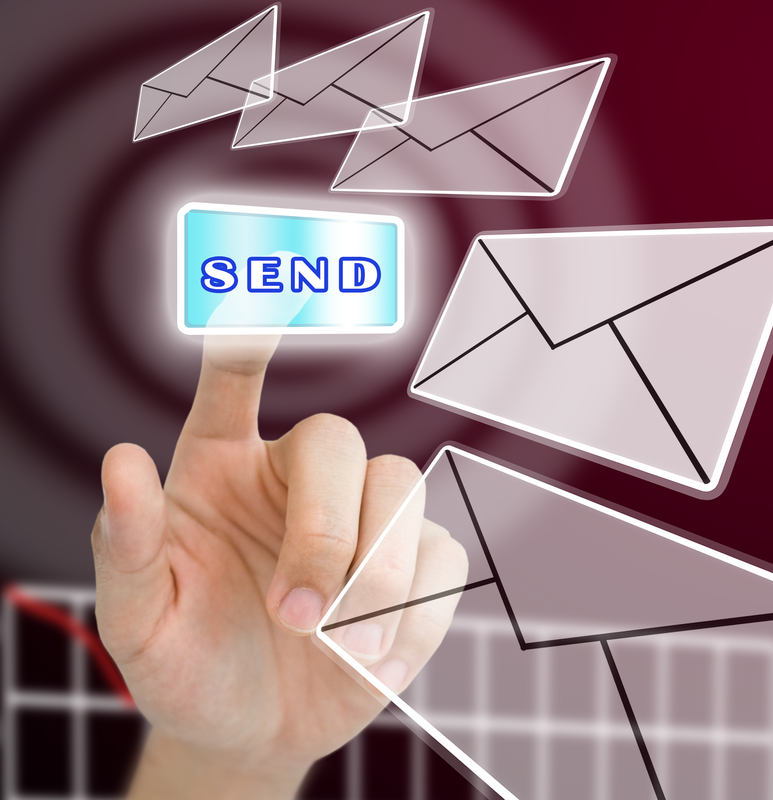 To find out how use email sequences to increase conversions, visit http://www.emaildelivered.com/email-sequences-to-increase-conversions. Remember to sign up for the FREE Email Delivered Pulse newsletter for articles, tips, and recommended resources for email marketers.